Taheri, M., Jafari Ahangari, Y., Heidari, A., shamshirsaz, A. (2014). The Effect of Lightings Period on Eggs Production Precent and Hatchable Eggs Percent in Broiler-Breeders Flocks. International Journal of Advanced Biological and Biomedical Research, 2(Issue 4 (2)), 304-309. Mohammad Taheri; Yousef Jafari Ahangari; Ahmad Heidari; Ali shamshirsaz. "The Effect of Lightings Period on Eggs Production Precent and Hatchable Eggs Percent in Broiler-Breeders Flocks". 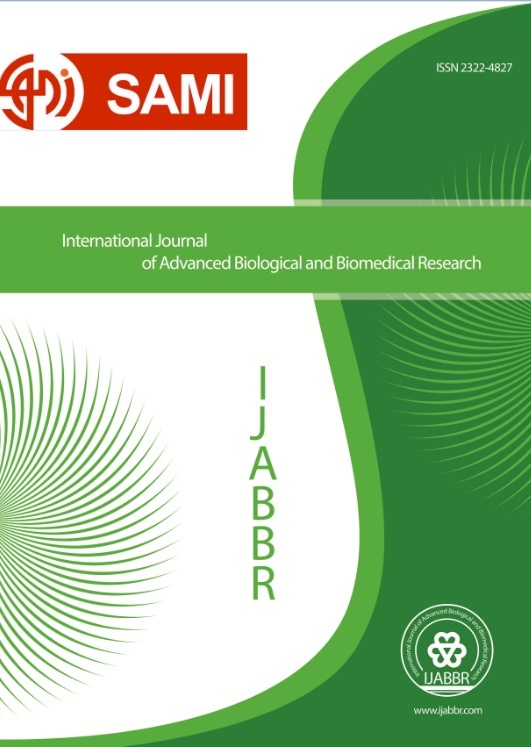 International Journal of Advanced Biological and Biomedical Research, 2, Issue 4 (2), 2014, 304-309. Taheri, M., Jafari Ahangari, Y., Heidari, A., shamshirsaz, A. (2014). 'The Effect of Lightings Period on Eggs Production Precent and Hatchable Eggs Percent in Broiler-Breeders Flocks', International Journal of Advanced Biological and Biomedical Research, 2(Issue 4 (2)), pp. 304-309. Taheri, M., Jafari Ahangari, Y., Heidari, A., shamshirsaz, A. The Effect of Lightings Period on Eggs Production Precent and Hatchable Eggs Percent in Broiler-Breeders Flocks. International Journal of Advanced Biological and Biomedical Research, 2014; 2(Issue 4 (2)): 304-309. This study was conducted to determine the effects of increasing lighting after peak production on eggs production and Hatchable Eggs in broiler breeder Hubbard F15. In this research we used from 4 growing saloons, that in per saloons were 5250 Hubbards broiler breeder hens. In this Experiment we used by Line design way of GLM for analysed data, that we considered the Effects of two parameters, such as 14 and 16 hours lighting in 4 saloons. The Experiment did during 21 weeks(30-50) after the production peak(29). We study the Effects of lighting , week, lighting*week, day(week), and saloons parameters on eggs production persent and hatchable eggs persent. The Results of this study show us that the lightings effect on eggs production persent was significant (P<0.05), and had a little increased in saloons with 16 hours lighting. Forther more it was no significant on hatchable eggs percent (P>0.05). The Weeks effect was significant on both parameters, and had a natural performance on eggs production uggest. The Effect of lighting*week Variable and was significant (P<0.05) on eggs production uggest and hatchable eggs uggest, And other Variables are significant on these Parameters. This Observations show us tahs the Stability of eggs product was more in 16 hours lighting saloons in this 21 weeks. The results uggested Increasing the light length for 2 hours after peak production canbe effects on eggs production and have improve effect on eggs production stability.